If you've been following my blog much lately, I've been doing a lot of MAKEUP reviews for Halloween. Which means that my poor skin has been worked over, messed with and washed more than normal. All products for this review/feature were sent free of charge by the company. I was not offered any monetary compensation by posting my honest opinion about the product being features. What my skin needs is a little SKIN DETOX...and I have the perfect product to do that with. 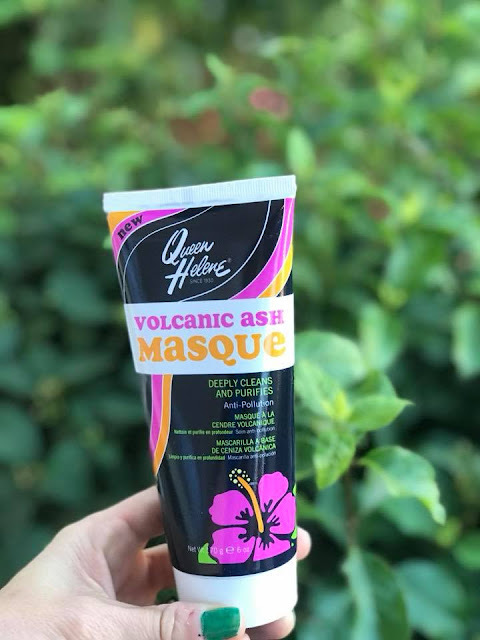 I was sent the Queen Helene Volcanic Ash Masque. 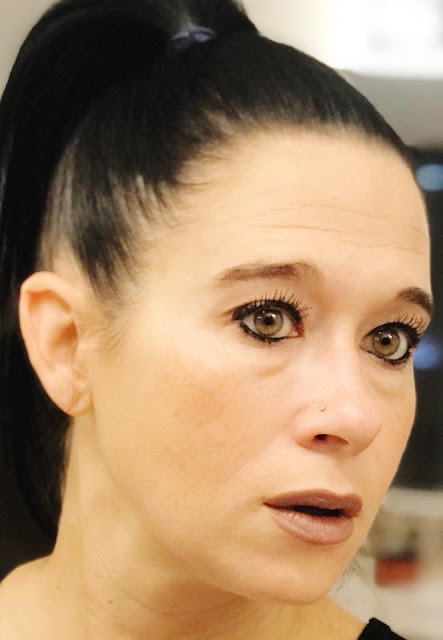 I've used Queen Helene products before, for my skin before and really like the results. So I MASQUED up with this "ANTI POLLUTION" masque and even though it didn't look pretty, it sure did feel amazing. 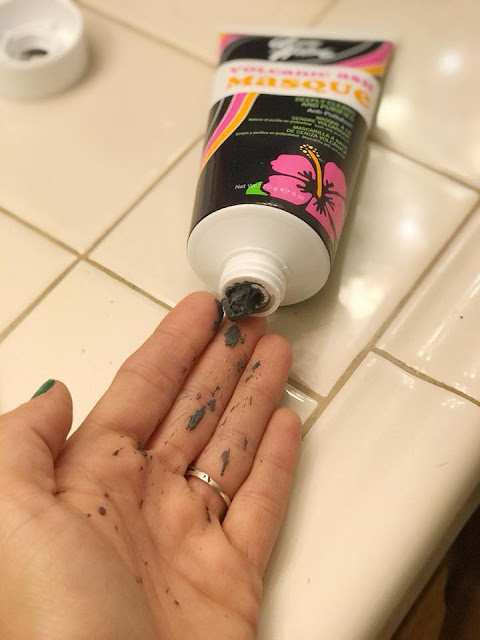 I'm pretty sure every single pore I have on my face came to surface, which means it really did pull out the garbage that's been piling up in there. My skin was tight and tingly...I could really feel it working. 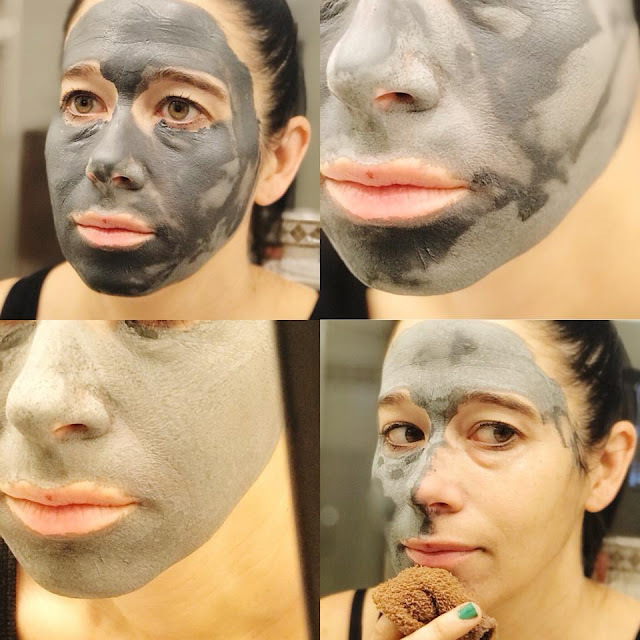 When I washed it off with warm water, my skin felt amazing and I always follow up with cold water to close the pores completely. MY FINAL RESULT was pretty fantastic! I'm sure my girls will be begging to try it out too. CLICK HERE to learn all about Queen Helene products, because they do offer more than just skincare products. And in my opinion, this would be an excellent stocking stuffer for any mommy, tween or teen girl in your life. All girls love facial masks and this one is ON POINT!